The unsigned editorial from the evening’s program notes. Indeed, he does not. 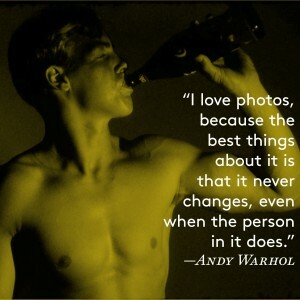 You’d be hard-pressed to find an artist, or pop culture enthusiast, or possibly any living human who doesn’t harbor some kind of frame of reference or relationship to the life and work of Andy Warhol. His fame has extended well beyond his prescient and oft-quoted “15 minutes” observation. Tonight is one of just three live-performances scheduled for this exceptional program, a marriage of sound and celluloid, brought together to create a wholly new installation that we, as the audience will become the permanent caretakers of. And tonight yeilds another moment in which we can sustain our own relationship to Andy Warhol’s work, aided by five innovative composer-performers hand-picked by guest music curator Dean Wareham. 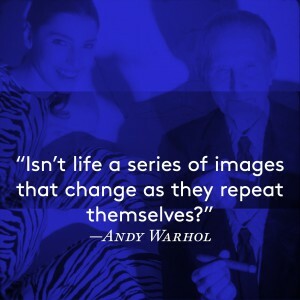 Dean is no stranger to working with Warhol visuals, having created, along with his artistic and life partner Britta Phillips, the score to “13 Most Beautiful,” a song cycle composed and performed to a selection of Warhol’s famous screen tests. The films you will see tonight were discovered in a Pennsylvania warehouse just as Wareham was plotting with the Museum on a potential follow up to “13 Most Beautiful. “They are more personal and less stylized than Warhol’s screen tests, more like home movies, describes Ben Harrison, curator of performing arts at the Warhol Museum. We think that’s part of the great appeal. 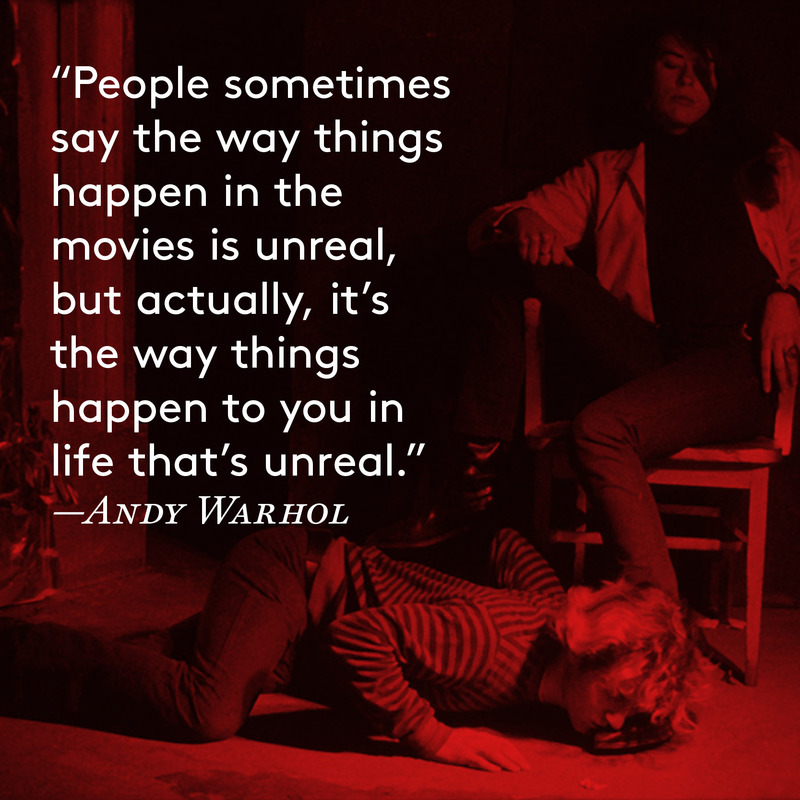 Warhol has captured a unique series of moments in time, and we have the good fortune to be able to come together to view and experience them in yet another ephemeral moment in the art of performance. That never really goes out of style either. Tonight we play host to a truly unique moment in the art of performance.”Exposed: Songs for Unseen Warhol Films” is a marriage of sound and celluloid that has been a long time in the making, and its arrival to the Royce stage tomorrow marks one of those especially gratifying moments as a curator, when the dreaming of a few coalesces into an extraordinary experience for many. Ben had been involved in the development of the precursor to “Exposed,” which was called “13 Most Beautiful” – the cinema screen tests shot by Andy, which had Dean & Britta performing live in a concert setting. Dean Wareham and Britta composed the music and if I recall (this was 2006 I think), were part of the creative force that conceived the idea to begin with. It toured extensively, and I saw it in Sydney years ago. Wareham, this time around, wanted to broaden out the music collaborators, so for this project, he is both the curator/music director and also a composer/performer. I guess that is four roles rather than two! 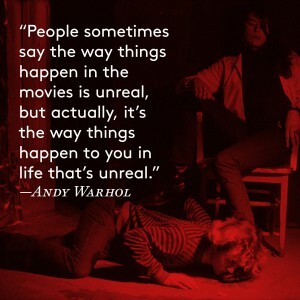 What I loved hearing about, behind the scenes as the project started to take shape, was the restoration process of the films themselves from the conservators at the Warhol museum, and their insights about the pieces of cinema along with the film curator. Of course getting updates on which musicians were then engaged and what they were working on and how it was taking shape was also pretty exciting. So, here we are, two years later – restored Warhol films, a massive amount of music and artistry that has come together for a three – city engagement after so much detailing and creative time has been spent behind the scenes. I am sure the project will go on after it is performed in the ‘homes’ of the three organizations that committed early on to support the development time it needed, which include the Center, The Andy Warhol Museum and BAM. 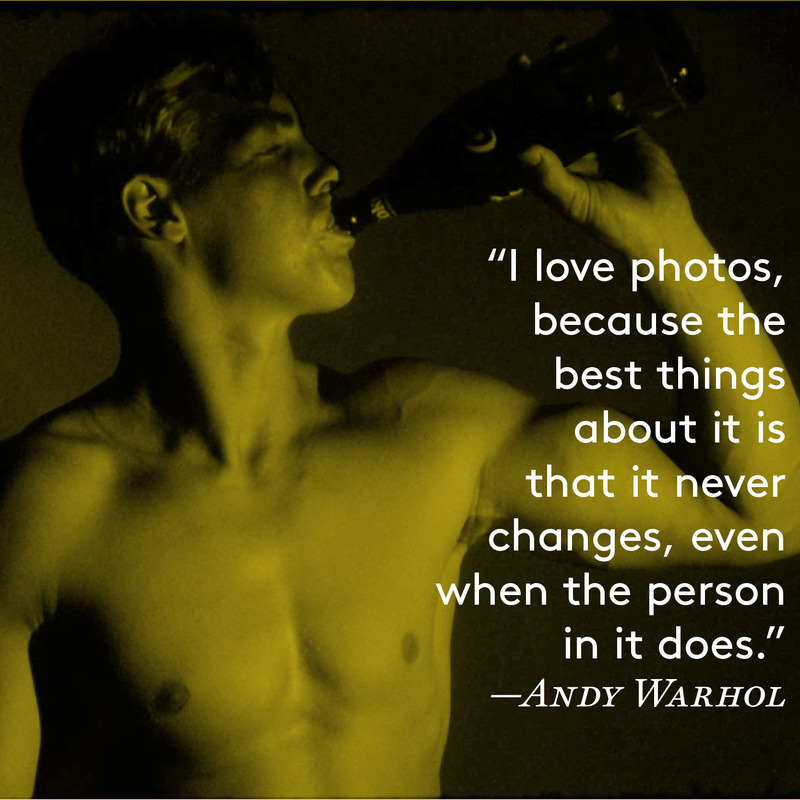 I swear, Andy Warhol has had dinner and drinks with people that were not even born during the Factory years – and that will probably be the case for decades to come. 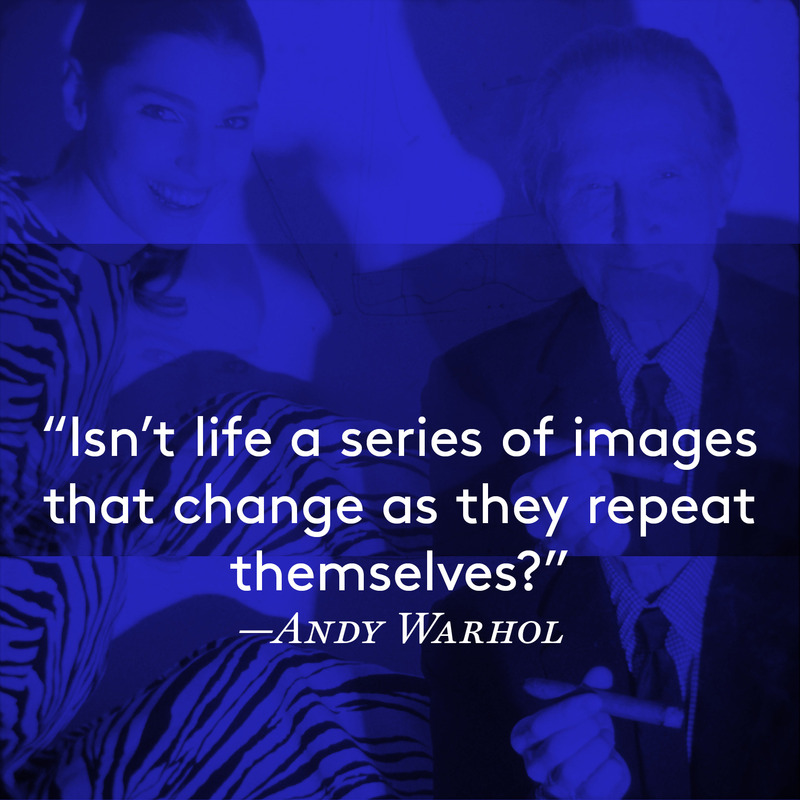 Indeed, part of the impetus behind this work is to celebrate the 20-year history of The Andy Warhol Museum, which has done much to ensure that Andy’s memory and influence continues to loom large. My story about Andy is tied to this moment in time, to the preservation and presentation of these incredible lost films, the talented and varied music artists who are helping bring them to life for us.